Cannabis plants are seen from an overhead viewing window at Canopy Growth's Tweed visitor centre in Smiths Falls, Ont., on Sept 18 2018. Aurora was marked using its shareholder proxy circular from October, 2017, because Board Games markers at the Clarkson Centre for Board Effectiveness at the University of Toronto have a cutoff date of Sept. 1 for proxy filings to ensure all work is completed for publication by November. Aurora released a new proxy circular in late October in advance of its annual meeting on Nov. 30, and its Board Games score would be higher using some of the newer information. For example, the company has adopted share-ownership guidelines for its executives, which would improve its score, although it has not adopted share-ownership guidelines for directors. Aurora has also begun conducting director performance self-assessments, although it does not have a peer-review process. It has also prohibited executives from using financial instruments to hedge or offset their equity exposure. Aurora will continue to lose marks in other areas, however, particularly board independence. Board Games applies strict standards for director independence, and considers directors to be related (that is, not independent directors) if they receive payments for providing non-board business services to the company. A private company controlled by board chair Michael Singer received payment for providing financial advisory services in 2018, while a company controlled by director Jason Dyck received fees for research and development work for Aurora. The result is that the company loses marks for having related directors on its key board committees. 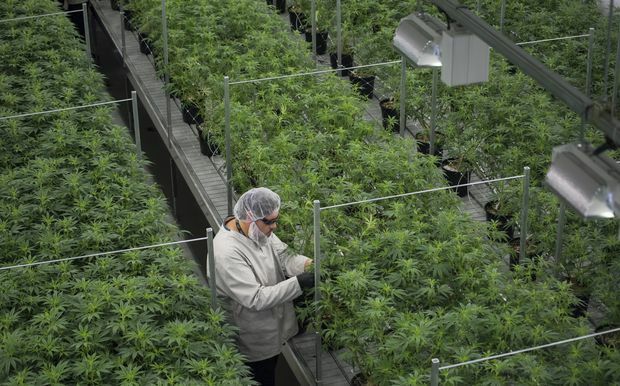 Canopy is Canada’s largest cannabis producer, but it is still a relative newcomer to the ranks of the major companies that comprise the S&P/TSX Composite Index. That means it has adopted some common good governance practices, but for the most part its governance processes are not mature. The company does not have a system for formal board performance reviews, for example, and does not have a formal diversity policy. It also does not report details of a CEO succession planning process, and does not have a director education program. Canopy got credit for having a majority of independent directors on its board, and for having independent directors on its key board committees. But founder Bruce Linton is both chairman and co-chief executive officer, which means the company lost marks for combining the roles of chair and CEO. While the company offers equal voting rights to all shareholders, it has not adopted other shareholder rights processes such as offering say-on-pay votes to give investors a voice on compensation practices. It also does not disclose provisions for clawing back bonuses when wrongdoing has occurred, or requiring CEOs to hold on to shares for a predetermined period after leaving. On the compensation front, Canopy lost marks for its high level of stock-option dilution, and for not linking executive pay to the company’s financial performance relative to its peer group. The company also pays directors with stock options. It also has no share ownership guidelines for the CEO or directors to ensure everyone holds at least a minimal level of the company’s stock. Aphria also filed its latest shareholder proxy circular after the Sept. 1 cutoff for the Board Games markers at the University of Toronto, so the marks were based on last year’s proxy circular. The company received marks for having independent directors on its board, as well as independent directors on its key board committees. But it lost marks because Vic Neufeld is both chairman and CEO. The company has one woman on its board, Renah Persofsky. Aphria does not have some board processes marked in Board Games, such as director performance reviews, but says it is developing a peer review process for the coming year. It also does not disclose whether it has a detailed CEO succession planning process, or a formal director education program. The company said independent directors meet without management present for a portion of board meetings. On the compensation front, Aphria does not offer a say-on-pay vote to shareholders, grants high levels of stock options that are dilutive to shareholders, and pays its directors in options. Aphria received stronger marks for disclosure than the other two cannabis companies in the S&P/TSX Composite Index, scoring 7 out of 10 in the category. It provided detailed director biographies, accurately explained directors’ relationships to the company, and fully disclosed the value of all directors’ shareholdings.